Huntington artistic director Peter DuBois. The Huntington Theatre Company’s 2017-18 season will include the stateside debut of a production that just may have cracked the riddle of a famously troubled Stephen Sondheim musical, as well as a classic French farce, the story of a legendary playwright’s secret, and a group of plays chosen to speak to the political climate in the age of President Trump. Sondheim’s “Merrily We Roll Along” raises the curtain on the season next September in a production helmed by Maria Friedman, who will base it on her conception of the play that was the toast of London in 2012 and won the Laurence Olivier Award for best revival of a musical. A large chunk of the rest of the season, though, is inspired by the November election and its evolving aftermath. “Much of the season fell into place for me literally the morning after the election. I called in and I said that we need to commit to these three projects,” Huntington artistic director Peter DuBois says, referring to Dominique Morisseau’s “Skeleton Crew” (March 2-April 1, 2018), Caryl Churchill’s “Top Girls” (April 20-May 20, 2018), and Molière’s “Tartuffe” (Nov. 10-Dec. 10). “Merrily” was an infamous Broadway flop in 1981, closing after 16 performances. (The 2016 documentary “The Best Worst Thing That Ever Could Have Happened” revisits the episode.) 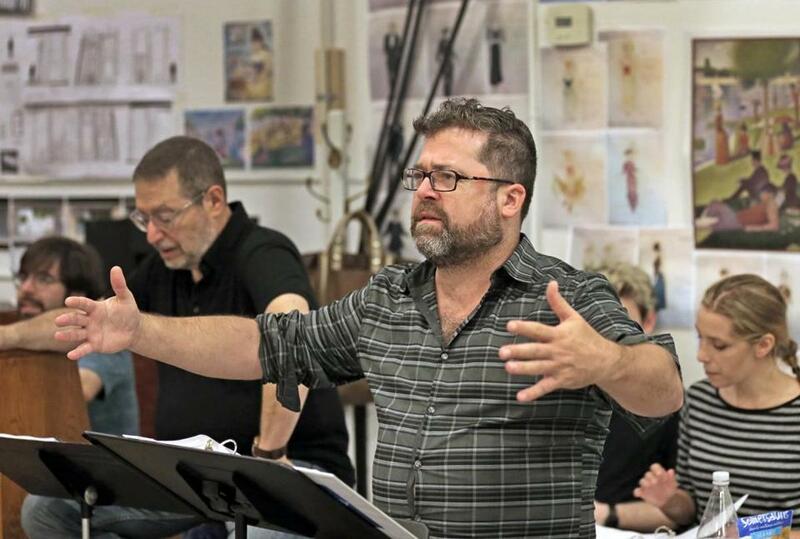 Though Sondheim’s score is considered particularly strong, no revamped version has yet made it back to Broadway. But Sondheim decreed Friedman’s production the best version of the show he’d ever seen, and critics joined the raves. Premiering in New York last year, “Skeleton Crew” is the third of Morisseau’s acclaimed Detroit Cycle of plays, inspired by August Wilson’s Century Cycle. It takes place in the break room of a Detroit auto manufacturing plant during the financial crisis of 2008. Liesl Tommy will direct “Top Girls,” Churchill’s 1982 piece about women in the workplace. Tommy, who was born in South Africa and relocated from there to Newton (where she attended high school), last year became the first woman of color to be nominated for the Tony Award for best director of a play (“Eclipsed”). Tommy directed August Wilson’s “Ma Rainey’s Black Bottom” at the Huntington in 2012. DuBois will be directing “Tartuffe.” A wicked satire first performed in 1664, it is the tale of a man who feigns moral rectitude but turns out to be a hypocritical fraud. “It’s not about parodying any one person, it’s just a fable that is incredibly funny, incredibly farcical, and also, I think, just so deeply resonant and relevant to our time,” DuBois says. DuBois will also direct the world premiere of “Fall” (May 18-June 17, 2018) by Bernard Weinraub. “Fall” looks at an underreported element of playwright Arthur Miller’s private life: He and third wife Inge Morath had a son with Down syndrome in 1966, whom they committed to an institution and with whom Miller had little contact thereafter. The fact was first widely publicized in a 2007 Vanity Fair article. “A Guide for the Homesick” (Oct. 6-Nov. 5) is another premiere, by Huntington playwriting fellow Ken Urban. The story of two gay American men having a chance encounter abroad, it will be directed by Colman Domingo, a much-decorated actor-director-playwright. DuBois describes Urban as “the real deal” and a playwright on the rise. Returning to the Boston stage next year is Melinda Lopez’s “Mala,” presented as a non-subscription “special event” for three weeks (Jan. 6-28, 2018) and directed by ArtsEmerson’s David Dower. ArtsEmerson gave Lopez’s solo play, which she wrote and performs in, a world premiere in 2016. She is a Huntington playwright-in-residence. An additional production, a comedy yet to be announced, will complete the season.